For the past few years the good folks at the International Quilt Festival in Houston have been supporting a wonderful charity. 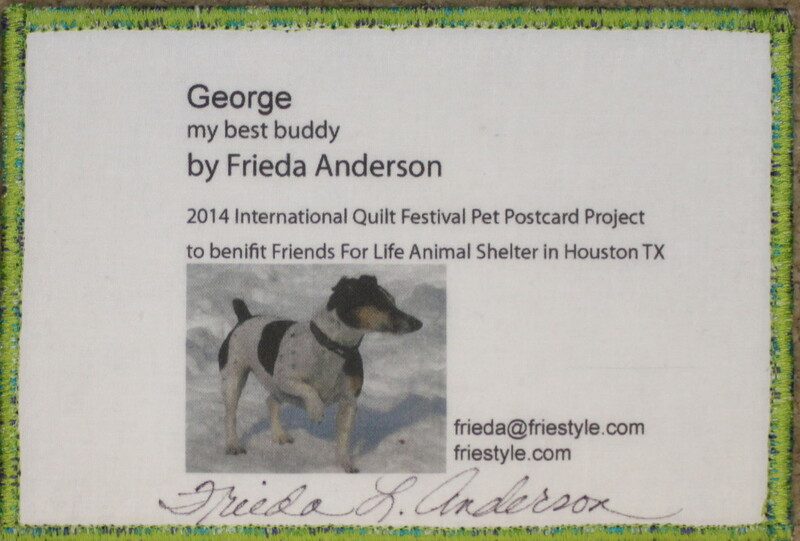 They have been doing a post card auction to support the Friends for Life Animal Shelter in Houston, TX. As you may know I am a huge animal lover myself. I always have had pets in my life, from cats, mouse, lizards and dogs. No birds, but I’m open to that. The current love of my life is George, a rascal of a Jack Russell Terrier. I have made post cards the three years they have been doing this charity. I didn’t make it down to the booth last year to buy one, but I made one to be bought. 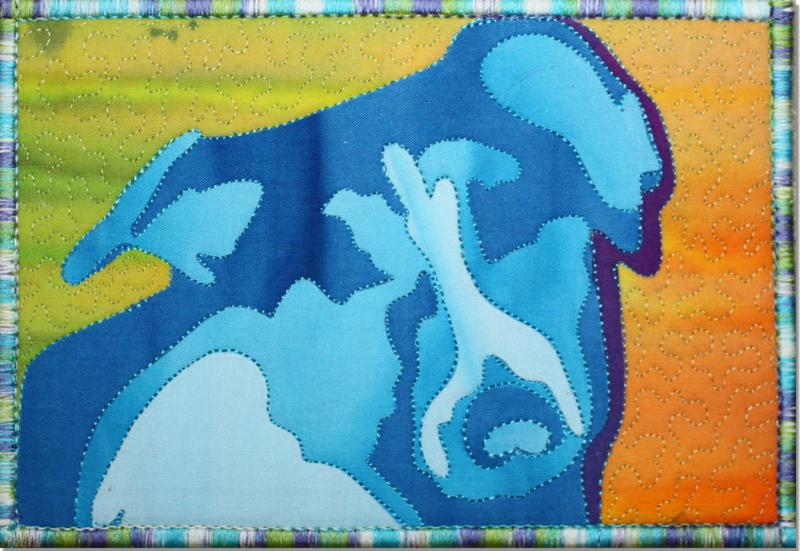 Here is the one I have made for this years auction. I hope if you are going to the show this year you will make sure to go and support this wonderful charity. And you might possibly be able to buy George’s postcard.